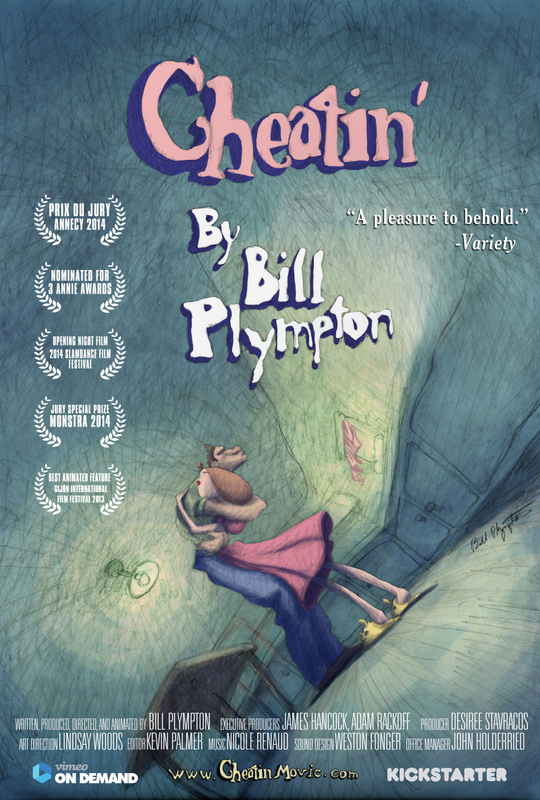 Vimeo has teamed up with the “King of Indie Animation,” Bill Plympton, for the global release of his animated feature, CHEATIN’. On the heels of a multi-city US theatrical release beginning in April, Vimeo will be releasing the film exclusively on Vimeo On Demand on April 21, 2015. Available today for pre-order, CHEATIN' is an award-winning, surreal animated adult tale of love, jealousy, revenge, and murder. Inspired by the work of James M. Cain (“Double Indemnity”, “The Postman Always Rings Twice”), CHEATIN' marks Academy Award®-nominated Bill Plympton’s seventh animated feature film. CHEATIN’ synopsis: In a fateful bumper car collision, Jake and Ella meet and become the most loving couple in the long history of Romance. But when a scheming “other” woman drives a wedge of jealousy into their perfect courtship, insecurity spells out an untimely fate. With only the help of a disgraced magician and his forbidden “soul machine,” Ella takes the form of Jake's numerous lovers, desperately fighting through malfunction and deceit as they try to reclaim their destiny. Cheatin’ will retail on Vimeo On Demand for $4.99 for a 72-hour streaming rental or $9.99 for download to own.